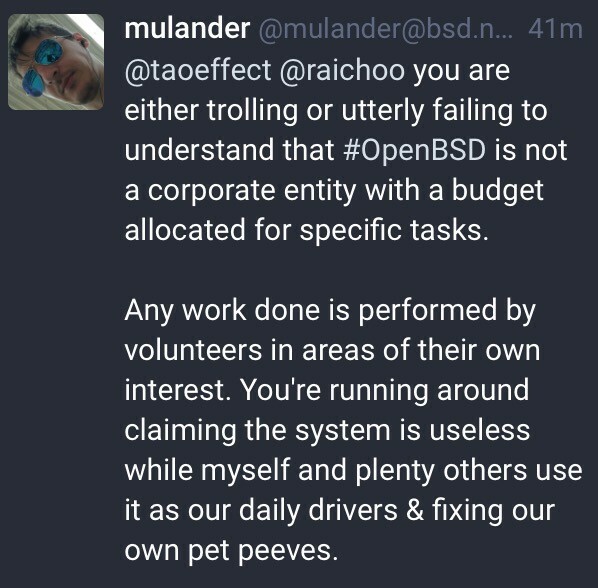 The #OpenBSD community acts as if it&apos;s beyond criticism and reproach for its behavior toward developers and users. It&apos;s as if they think they&apos;re some hobbyist side project and not a *2 decade long* endeavor that involves a fairly large number of people and a non-profit that asks for people&apos;s $. 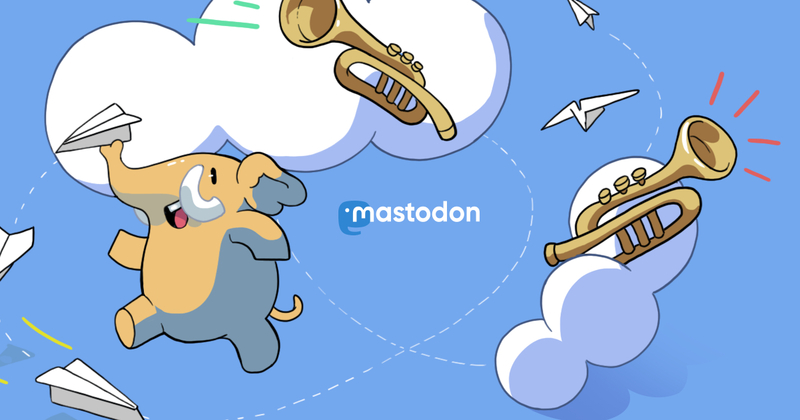 "#OpenBSD is not a corporate entity with a budget allocated for specific tasks." To the tune of $423k in 2018.